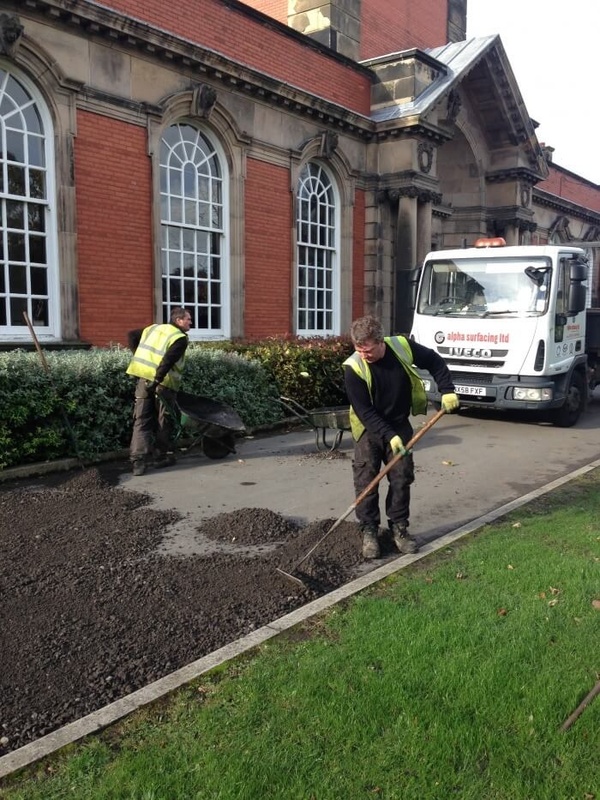 As well as our extensive range of services, we also offer Film Production Surfacing and have been tasked with creating set features for a range of shows. 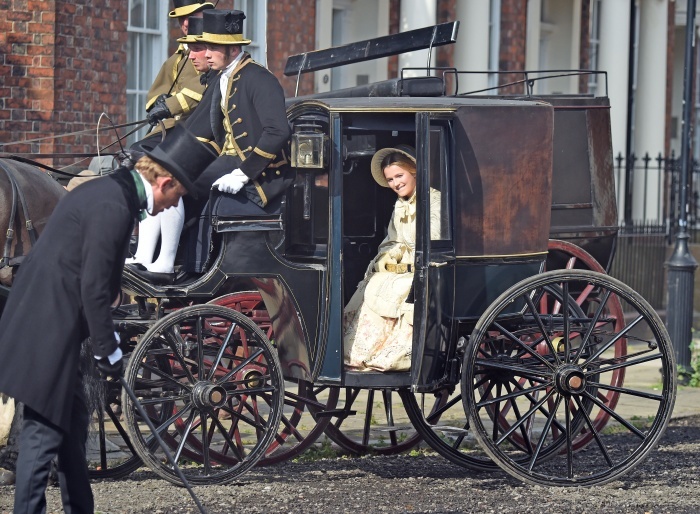 Victoria, as seen on ITV, features Jenna Coleman and has been on the air since 2016. 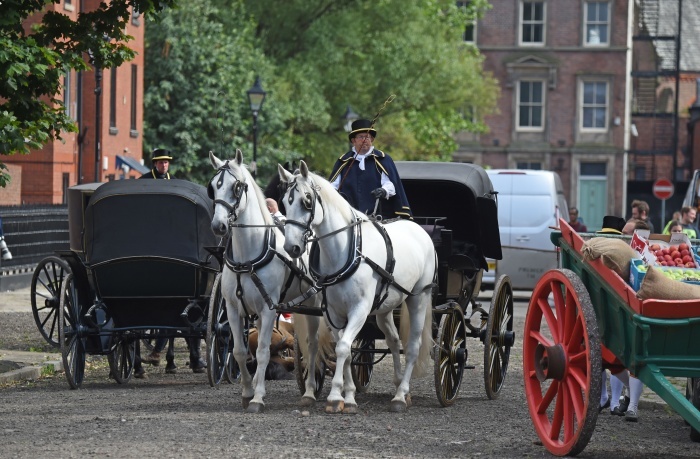 A fan favourite, this show is set in Victorian England and chronicles the life of Queen Victoria in her younger years. 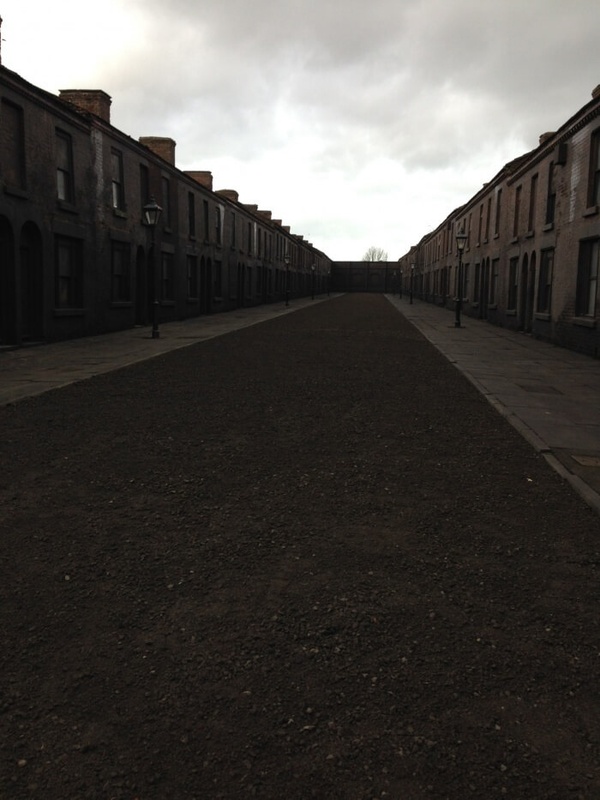 For Victoria, we turned back time in Liverpool. 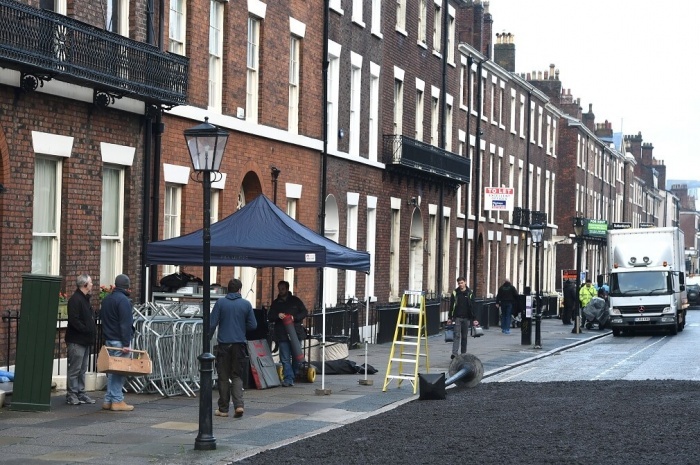 Filming was done in The Georgian Quarter, and we were tasked with making the roads look worn, old, and suitable for horse and carriage to drive on. 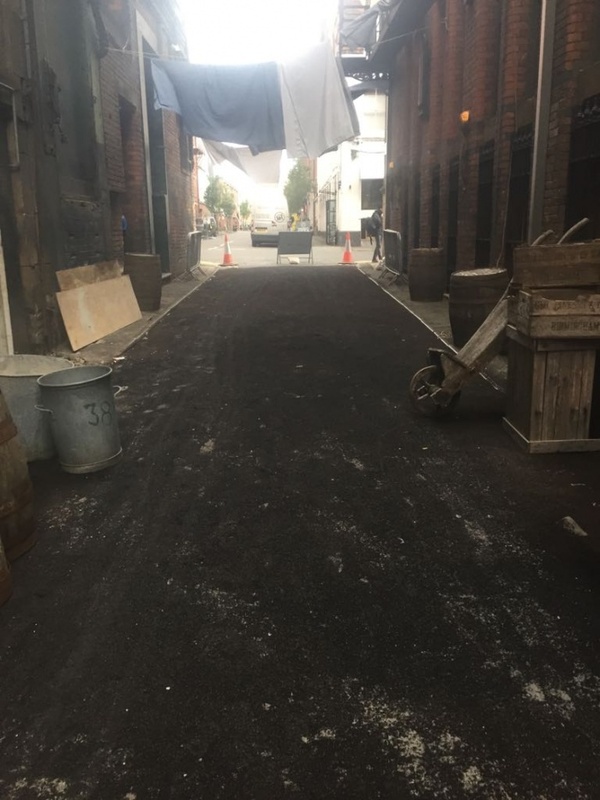 As with our work on the set of Peaky Blinders, specialist materials had to be used in order to cover the modern tarmac and make it look worn and old fashioned. With our work on Curfew, we were tasked with setting the stage for an explosion on set. Curfew, which features big names such as Sean Bean and Adrian Lester, is a fast-paced street racing drama which will see individuals compete in the most dangerous, fastest and heart-stopping race of all time. It’s due for release in 2019. 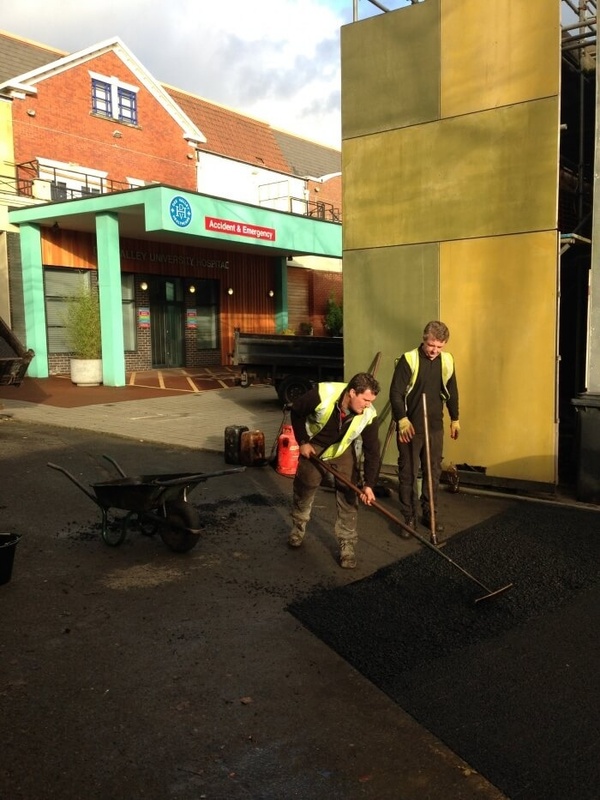 On set for Curfew, we created a tarmacked forecourt, on which a makeshift petrol station was created by the film production team. 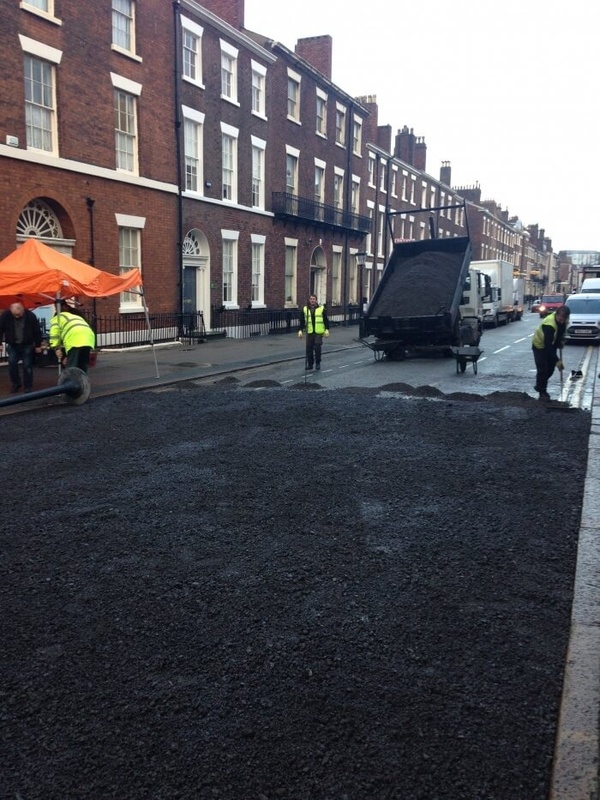 For Bulletproof, we were tasked with creating tarmacked roads in and around Liverpool city centre, in order to create the perfect scene for car chases. The show, which features a dynamic police team, aired in 2017. 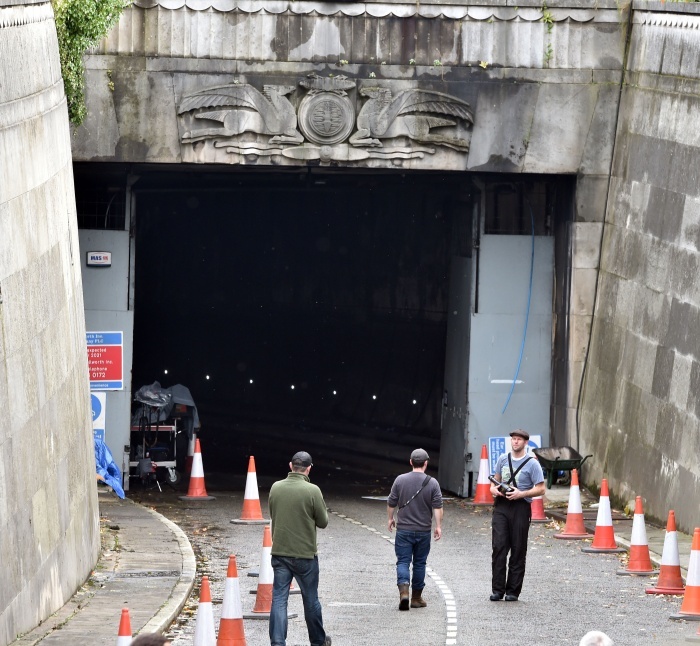 The four images below are provided by the Liverpool Echo. 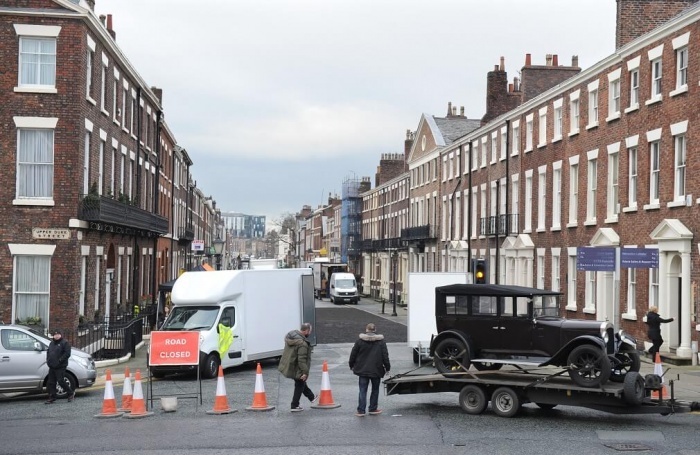 Our recent projects have included working closely with a North West TV production company, our expertise was called upon to re-create the street look of the 1920’s. 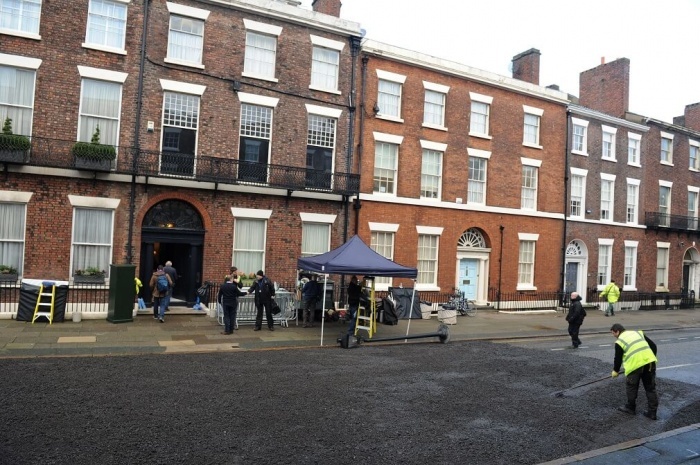 This was for the filming of the third series of the popular Netflix drama Peaky Blinders. 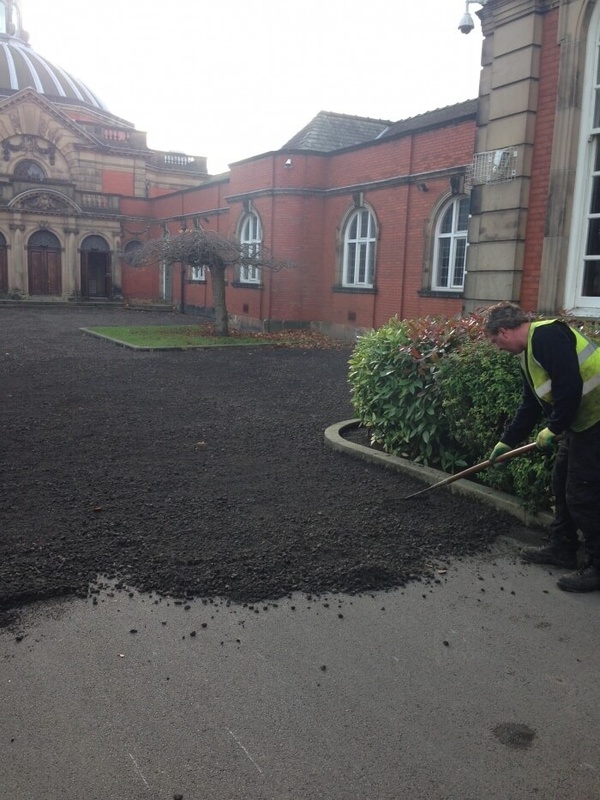 Specialist graded materials were used to spread over existing tarmacadam roads on various locations throughout the city of Liverpool. 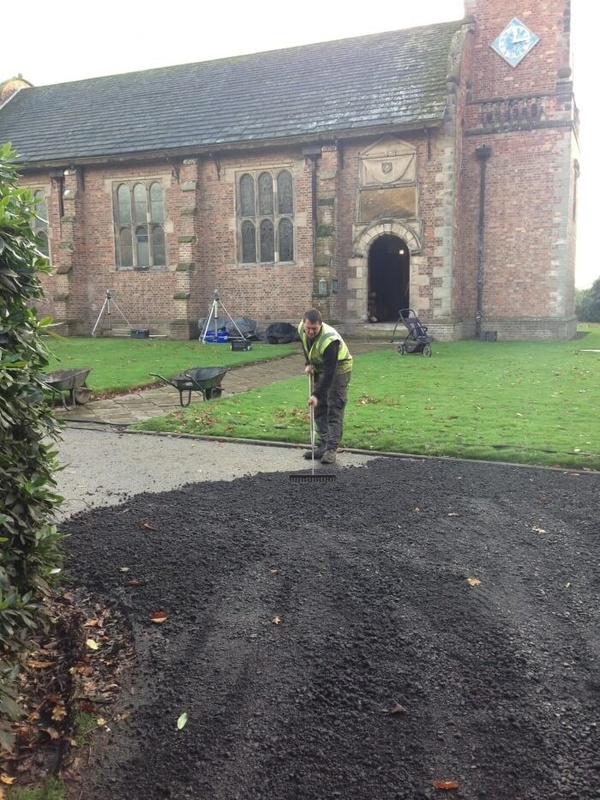 Once filming was complete mechanical sweepers were then used to restore the road back to its original state. 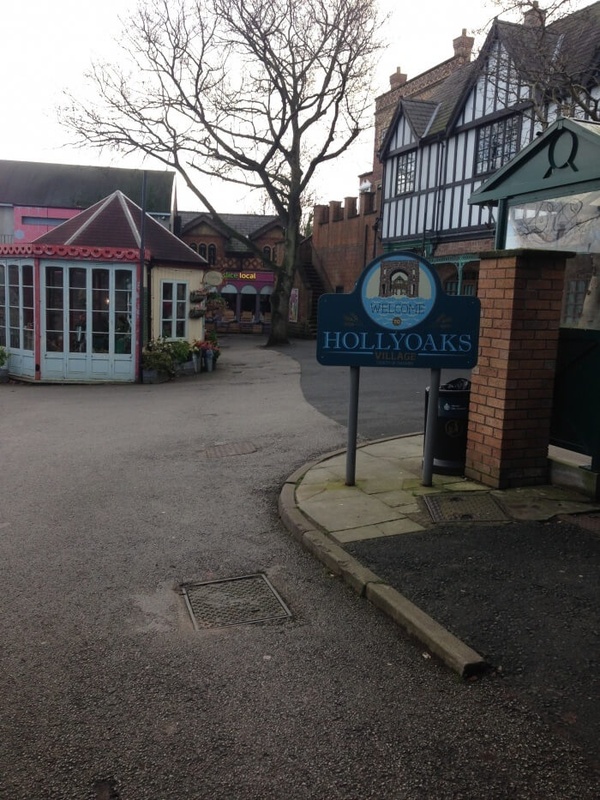 We have also carried out a resurfacing project at the request of Lime Pictures for the set of daily soap opera Hollyoaks. 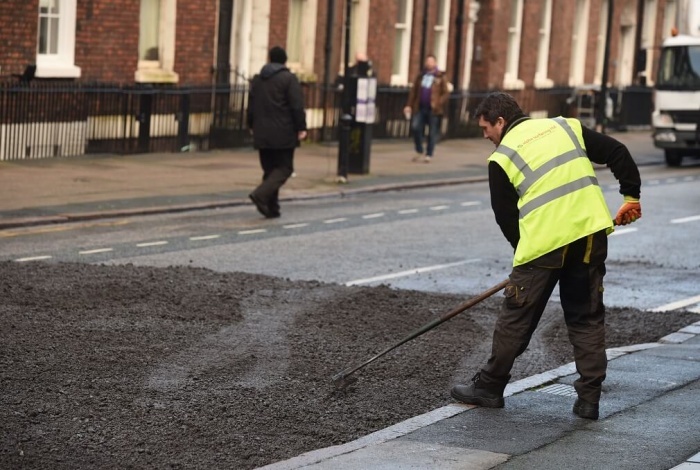 The four images above are provided courtesy of the Liverpool Echo.